Climate change is a phenomenon that cannot be properly addressed without action from politicians and decision-makers in all parts of the world. Scientific research provides data that policymakers can use in order to take action on local, regional, national and supranational levels. This policymaking in turn can determine what scientific research is carried out and how, especially since decision-makers control the purse strings of the money that funds a lot of the research that is being done. Members of the scientific community and in particular those who study climate change in the Polar Regions are stakeholders in the formulation of adaptation strategies. Policymakers in the European Union have taken heed of the recent findings of the IPCC's Fourth Assessment Report and have begun to translate the overall message the findings of the scientific research on climate change into political action. On 29 June the European Commission issued its Green Paper on "Adapting to Climate Change in Europe - Options for EU Action." The paper sets out options for EU action to help the process of adaptation to climate change across Europe and aims to stimulate a broad public debate on the issue. The IPCC's Fourth Assessment Report has provided conclusive scientific evidence of the realities of climate change as well as suggestions of adaptation and mitigation measures that can be taken along with an analysis of the costs of implementing them. Climate change will affect Europe's natural environment and nearly all sections of European society and the economy, including agriculture, forestry, fisheries, tourism and healthcare. Coastal zones, low-lying deltas and densely populated river plains could be affected by more frequent storms and floods, and population shifts may occur due to climate change induced migration, including in regions close to and bordering the European Union. With the release of the latest Green Paper, the EU has started the political process of devising appropriate adaptation strategies on a European level. A public debate on the proposals outlined in the latest Green Paper was held at the EU Commission on 3 July in Brussels. 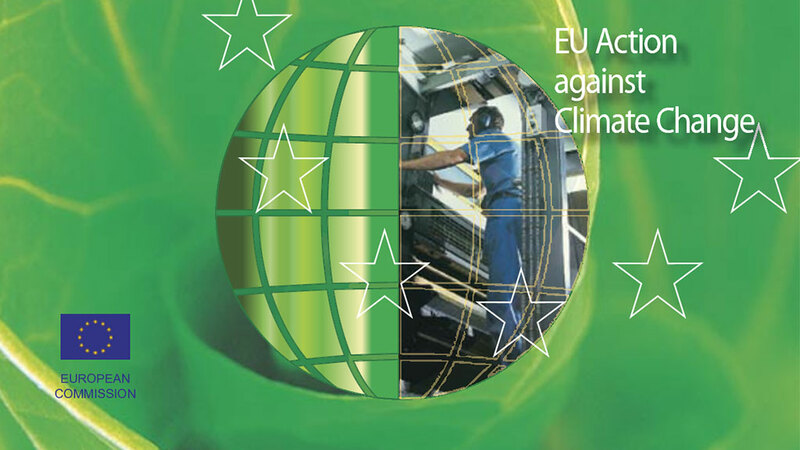 EU Commissioners, experts involved in climate change research, representatives of NGOs and businesses, and other stakeholders took part in the debate. EU Commissioner for the Environment Stavros Dimas made it clear that political action should be taken in spite of certain gaps that may exist in scientific understanding. Even though there is political will to take action, policymakers need empirical data in order to be able to make better judgements on what actions to take. Experts and politicians alike expressed the need to carry out more research and have better access to data at several instances during the panel discussions. The current state of affairs did not please some. One distinguished panellist, Prof. Zbigniew Kundzewicz, who is Professor of Earth Sciences and Head of Laboratory in the Climate and Water Resources at the Research Centre of Agricultural and Forest Environment at the Polish Academy of Sciences in Pozna&nactute;, Poland, part-time Head of the Working Unit on Water at the Potsdam Institute for Climate Impact Research (PIK) in Potsdam, Germany, and Coordinating Lead Author of Chapter 3 of Working Group II's contribution to the IPCC's Fourth Assessment Report, lamented the lack of proper methodologies to collect information. He said it was "terrible" that meteorology and hydrology services receive lower funding in the EU and that observation services are "shrinking." Another distinguished panellist, Prof. Jacqueline McGlade, Executive Director of the European Environment Agency (currently on secondment from her position as Professor of Environmental Informatics in the Mathematics Department at University College London) emphasised that real-time data is needed in order to make better decisions on what to do, and underlined the importance of Earth monitoring programmes such as GMES and GEO. She proposed interconnecting the various data on the environment being received from different sources within a single storehouse at the Commission at an "appropriate scale over enough time" in order to facilitate policymaking. Prof. McGlade also supported taking a more "bottom-up" approach to doing research, incorporating local observations and knowledge into research design and doing more longitudinal studies, since the "people on the ground know more" about what's happening to their local ecosystems and can better observe small yet critical changes that paint a clearer picture of what is happening as a result of climate change. Most action on climate change will take place at the local and regional levels, since the EU member states are so diverse a one-size-fits-all approach to adaptation would not be feasible. Several panellists, including Prof. McGlade, called for more sociological research in order to better understand how climate change is affecting local populations. Feedback from the 3 July debate and an internet consultation process that will operate until November 2007 will be taken into consideration while the EU Commission drafts a White Paper on adaptation measures, which they hope to have ready by the end of 2008. Policymakers need empirical data in order to be able to make better judgements on what actions to take.